The challenges of digital banking will open the core banking software market to more suppliers as banks attempt to keep up, while traditional development resources dwindle. A report from Celent, focused on US banks, gives further signs that banks will open up to a wider variety of suppliers. In the US, like the UK, there are barriers for suppliers entering the market. With heavy regulation and tight security, suppliers struggle to break into core banking. James O’Neill, senior analyst at Celent’s Banking practice, said that in the US consolidation among domestic suppliers has reduced development resources for some legacy core banking platforms. “This is creating a market opportunity for international vendors. The banking market in the US is steadily approaching a watershed period for core transformation," said O'Neill. Celent said in North American the core banking market generated revenue of $2.9bn in 2013 and will grow at 3.7% annually, reaching $3.3 billion in 2017. The analyst firm said that core system architectures at banks are “unflinchingly rigid and inordinately complex", but the challenges of the digital banking era are making large banks think again about modernisation. In Europe, Lloyds Bank and ING are examples of banks with digital strategies. Lloyds Banking Group is set to cut 9,000 jobs as part of a digitisation strategy that will automate manual tasks. Meanwhile, ING is cutting 1.700 jobs as it in reduces automation across the business. The UK financial services regulators are eager for banks to modernise IT after the massive IT outage suffered by the Royal Bank of Scotland in 2012. RBS, NatWest and the Ulster Bank customers were locked out of their accounts for days as a result of a glitch in the CA-7 batch process scheduler, which froze 12 million accounts. Customers were left unable to access funds for a week or more as the banks manually updated their account balances. 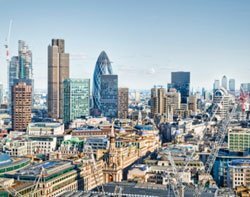 This year the head of UK financial services regulator, the Prudential Regulation Authority (PRA), said it would be bold for banks to strip down and rebuild IT. There is an opportunity for smaller suppliers to get involved as large banks in the UK look beyond traditional IT strategies. Speaking to Computer Weekly last month, Sumeet Chabria, CIO at HSBC Global Banking and Markets, said the finance sector needs to look beyond in-house teams and established technology suppliers for innovation and has identified the startup sector as a source. "We need to access talent wherever it is present and use it for innovation," he said. The biggest barrier to entry is not regulation it is confidence in the security and resilience of the products and services on offer. It is also worth remembering the London, not the US, is the global centre of the financial software market. The US, having to adopt even chip and pin, is behind the curve.